Are You a S.T.R.O.N.G Woman? I was online when I saw this picture. I get the main point, but sometimes we forget to ask God what’s His point. Do you consider yourself a S.T.R.O.N.G woman? Let’s look at this from the perspective of a S.T.R.O.N.G woman. She is Sensible, Teachable, Reliable, Obedient, Nurturing, and Giving. She relies on God for her strength and is gracious in her living. This woman is fearless because she trust in God, not because of who she is. When I saw the image of Wonder Woman, I really did wonder. So, I’m just going to ask. 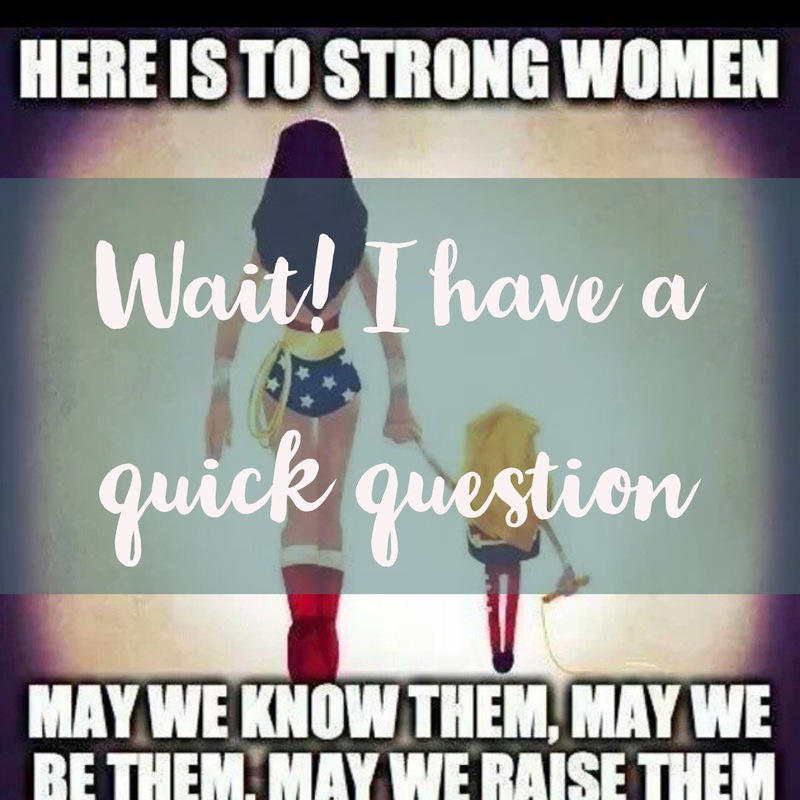 When does Wonder Woman have time to raise a strong woman? Will she also be building a healthy relationship with the child’s father, so that she can have a healthy family background that prepares her for life? Ok, I know, that was two questions. We want to raise our daughter’s to be strong, but we have to know that we have to do it God’s way. If we don’t, our daughters will struggle with the things that we ignored and gave no attention to. They will struggle with our disobedience and rebellion. They won’t have the power to overcome rejection, anxiety, or depression because we were too busy trying to save the world, instead of answering the call of God on our lives. As a strong woman, are you answering the call to be present in your home and in your relationship with God or are your duties outside of your home requiring you to constantly step away from the call of Wife and Mom? 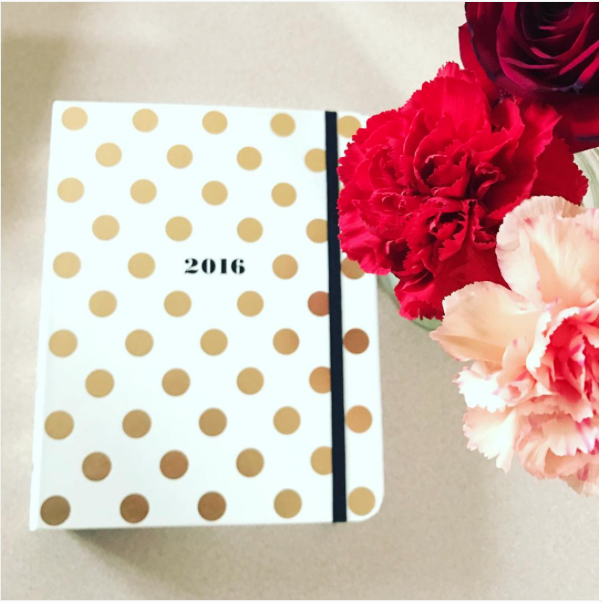 As a woman that loves to plan, I often try to keep things orderly and functioning well. I like my planner, my pen, and my paper. And although I haven’t always been this way, I do my best to plan everything out. That plan is subject to change because I am married with four children, and really, because I am a human being, living in this world. Yet, still there are times where I am thrown completely off because of my desire for predictability and order. If I can be honest with you, this has to do with my desire to control situations, so that things aren’t thrown off-balance and I’m not flung into a situation that I didn’t expect or feel that I can’t handle. Again, I haven’t always been this way, but in trying to be a woman of wisdom, I have desired to think through situations and plan how I am going to handle them. My plan would be perfect if I set in some high authoritative place, like God, but I’m not Him. I am merely a woman, clothed in flesh and living my life the best way that I can. I have always had big dreams and this year, I took the plunge in to two of them. Coupled together with life, I have found myself in a place of frustration because, well, we don’t live in a box. Although I set deadlines, things happen. For instance, I hurt my back and could not do all of the things that I wanted to do physically, so I had to rely on my family. They were very helpful and I am blessed to have them. Needless to say, my schedule was thrown off. I attempted to pull and push my way out of my physical limitations and, as it should be assumed, it took a toll on me emotionally. I planned and structured events and business deals, but all parties just did not have the same schedule as I had. If I were to put it in the simplest way possible, my desire for perfection, was only that, a desire. Perfection was not going to, nor is it ever going to happen. Let me stop here for a second. I think you and I need to allow this statement to just sink in. Perfection is never going to happen. Our desire for perfection and control, literally sends our spirit out into a realm of frenzy because we were never meant to be perfect or in control of everything. We were placed in this world with the Spirit of the Living God to lead us and guide us throughout our lives. He is here to help us maneuver through the situations, ins and outs of life. No matter how much we try to take the steering wheel, its not our place to be in total control. When life is busy and we want to be…., we have a tendency to try to attempt to take the reins from God. We attempt to control life. We don’t do it purposely, but when we do this, hurry up and go “thing,” we are trying to take our lives out of the hands of God. He’s the one who makes this whole world function and yet, somewhere in our minds, we believe that we can do it better. No matter how sincere or humble we are, we have all done it at one point and time in our lives. Believe it or not, we do it again and again. Then we wonder why we are stressed. We wonder why things don’t seem to be going right. Where did the problems come from? Taking our lives out of the hands of God, not following His will, trying life our own way…that’s where the frustration comes in. And no matter how giant or small of a moment it has been that we have found ourselves in this place, we have to come back. We have to ask Him to forgive us. We have to push forward in His will, listening to His Spirit, and seeking His face. That’s it! When we do this, with a sincere heart, laying it all before Him, He takes the reigns and fixes our lives, orders our steps, and makes life beautiful again. That’s what the KING of the world does. He rules and reigns. He orders and fixes our hearts and our lives. Our desires send us out of whack. The world is only doing what it does normally. It is functioning chaotically and we are striving for it to have some sort of order. Yet, in this process we forget that we are not all-powerful. Perfectionism is not really an accurate picture of any human being on this earth. It is simply and ideal. And we all love ideals. Control is not really all that we perceive it to be. It is simply that a perception. We aren’t in control. Whether reactive or proactive, we are not in control. It isn’t until we step into the will of God. Taking our rightful place in His plan, using the power that has been given to us by God, through Christ, in pray and in faithful deed, that we are in control…with Him. Not fearful actions. We have to be living and walking in faith when we proclaim that this and that will be, expecting that it will be. Let’s check ourselves with the word of God and see where we stand. Let this be our continual endeavor…to be in right standing with God. Please take a moment to read Psalm 19 below and the watch the video at the end of this post. I pray that you have been blessed by this and I look forward to hearing any thoughts that you have on control. Has this spoken to you at all? Do you find yourself in this place, ever? How do you handle it? Do you handle it at all? If you are like me, living in the 21st century, which I assume by the fact that you are reading this, that you are, there are situations that come up all of the time that warrant your opinion. This may not be a public warrant, but there is an inward conversation that takes place. Just stop to think for a moment. When changes are happening in your life, community, and the world, you have an opinion. You may not clearly understand or express this opinion to anyone, but have it. I want to ask you a question. What is your opinion based on? Is it based on facts, the past, your hurts, or the Word of God? Some people would be inclined to say that their opinions are based on truth, but truth, unless godly is subjective. There is THE truth, but most situations are base on an occurrence that can be understood differently depending on the perspective of the viewer. This is now what I am asking you to consider. I want you to think about the foundations of your opinions because I want to convince you that it is more prosperous to base your opinions on things that cannot be changed or shaken, like the Word of God…THE TRUTH. I am currently working on a post to be published to this site because one of my readers asked me a question. This question was an opinion based question, but the truth about me is that I try not to express my opinions unless I know the stand that the Bible takes on it. Thus, I am taking a bit longer to write it, than I expected. I have to research the topic and pray for guidance. I learned this a long time ago. 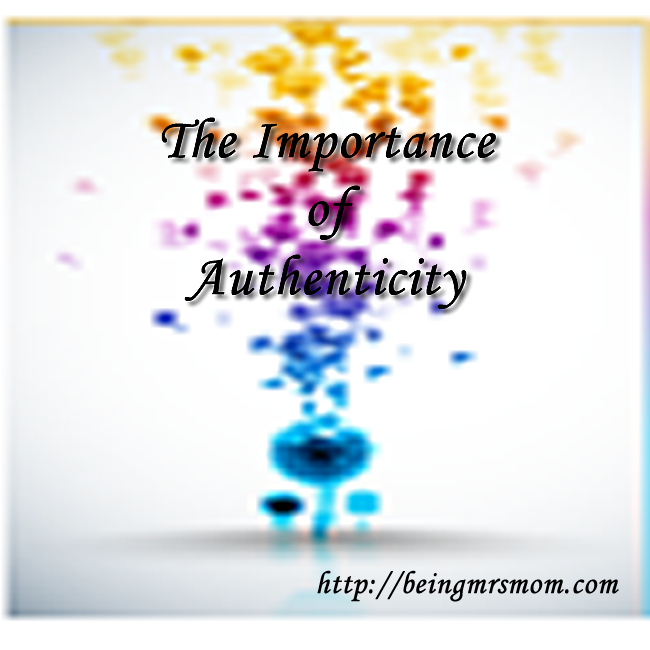 When I had just gotten married and became a mother, I was full of my own opinions. God was in the process of changing me and having my own opinions, based on my truth, made it hard for the change to transpire within me. I found that I had to submit my will and opinions to the Lord, through the Word of God, in order for the change to happen. That’s why I began to acknowledge my own opinions, but give myself permission to change them based on the word of God. I found that I needed to have the authority of the unchanging Word to solidify my thoughts and beliefs. No one can change God or the TRUTH of His Word. When we stand on His solid foundation, we are strengthened and become confident in who He is and what He has said. This in turn makes us better and renews our minds. This renewal process that takes place within our minds changes our entire being. Our lives become proving ground for the perfect will of God. We become His living examples of what He finds to be acceptable and good. This is hard to do when we are stuck in our own ways. Don’t want to let go of your opinion? That is what is going to continue to lead you all the days of your life. If you are being lead by your own opinion, someone may come to you with their own truth. That person may be more confident, older, or more experienced. They may have a strong presence that commands your attention and demands you to reconsider their perspectives. If this happens, you are or can become completely shaken. Do you know what happens when you and your thoughts are shaken? You become a double minded man. Do you remember that I was telling you about being more prosperous because of the fact that you have chosen to submit your opinions to the Lord? Well this is where the prosperity comes in handy. You can’t receive anything from God when you are double minded. You are praying and praying. Crying out to the Lord. Yet, you see no fruit from your labor. Do you wonder why? Well the Bible says that you ask amiss. And a lot of times its because you asked, but you didn’t do what the Lord told you to do. There is a prerequisite. He tells you. Do not be conformed to the world. Renew your mind. Do not expect anything from the Lord, when you have chosen to be double-minded and unstable in your ways. You have to choose the Lord’s way. Do you want Him to open doors for you or do you want to go beating down the doors yourself? I would choose to allow the Lord to do it. I’ve tried it the other way and it doesn’t work. When you beat on doors, you hurt your hands and your feelings get hurt. Do you see that? You have to meditate on the word of God. You have to keep it in your mouth, both day and night. You have to watch and observe to do all that it says. This is how you will prosper. Not by following every wind of doctrine of every so called celebrity or successful guru that comes your way. Not even from being strong and wise in your own eyes. Start listening to people that base their foundational thoughts and lives upon the word of God. People who don’t mind saying that they were wrong. People who do as they believe. As you fill your mind, time, and relationships according to the Word of God, doors will open. You will see that your life will take a new turn. You will be more satisfied and, I know, that you will be changed for the better. If you are wondering how to get started with this process, I suggest that you simply spend time reading the word of God. From there you can begin to hear and recognize the voice of God. Then you will be ready to study the word. Just remember that becoming the woman that God desires you to be is not a quick journey. It is a lifetime full of experiences that change as you change and are obedient to the Lord. Until next time, thanks for reading. I hope you were encouraged. Have you ever been in the midst of a situation and wasn’t sure of the direction that your should move in? Perhaps you are currently in a season of your life where you are waiting on God to make your direction clear. I’ll tell you how. Patiently. Ok…wait. Hear me out. I know that you may not want to wait and you might be very frustrated. However, I also know that while you are waiting on God, patience is building in you, He is clearing the path before you, and He will guide your steps as you move forward. Wait a moment. Let’s stop right here. When you find a scripture that has a promise and a contingency, it is important to understand what the contingency requires of you. The reason for this is that if you do not do your part, the promise will not be fulfilled. For this particular promise, the Word of God tells us that God will direct our steps, if we acknowledge Him in all our ways. It actually says it this way. So where am I going with this? I’ll tell you where I’m going. Remember how you were waiting on God to do something? You were wondering about the path that your feet would take in life. Will you meet those goals? Will you accomplish those dreams? Will you reach your full potential? Will you make the wrong move or the right turn. Remember this, it is the Lord that is working in you, both to will and to do for His good pleasure. (Philippians 2:13) As long as you give yourself over to Him and focus on Him, acknowledging Him in all of your ways, He will direct your steps. Someone one out there is wondering why this is a good thing. They have heard really horrific stories about God leading His people into tragedies and some really troubling situations. They have been afraid of the big man sitting in a chair in the heavens, ready to punish someone with his lightening rod. Let me tell you this, that’s not an image of God. That is an image is Zeus, a Greek polytheistic view of an idol/Titan; again not God. God longs to be gracious to us. (Isaiah 30:18) He has a plan and a future for you (Jeremiah 29:10) He is good to those who hope in Him. (Lamentations 3:25) He delivers those that seek Him. Remember, there is something for us to do in order not to take the wrong path. We must trust in the Lord, patiently wait on Him, and acknowledge Him in all of our ways. As we do this, we will begin to seek Him and our paths will be made straight. I don’t know about you, but that should make you confident in how you live your life. I hope you found encouragement in this today and will trust in the Lord as you patiently wait on Him. My entire adult life, I have been married and a mother. I had to mature very quickly in order to fulfill my role as mother and wife. I remember when I was a child, I wanted to hurry up and become a grown woman. I didn’t know that it would come so soon. However, when the time came, I stepped into my shoes as mother and wife. I did my best in everything and I learned how to be strong. Over time, being strong began to take a toll on me. My friends seemed to think that I didn’t need encouragement or a helping hand because, I was always doing those things for them. It wasn’t that I didn’t need it. It was something completely different. When I was in the first year of my marriage and had just had my son, I had an encounter. This encounter would begin to shape my life for years and I didn’t understand why until recently. At this vulnerable and very impressionable stage in my life, I turned to a minister that I thought could help me. I thought he would lead my husband and I, as we traveled the road of learning to be great parents and spouses. In my heart, I longed for a word that would show us how to walk with God and with one another. This leader would speak into my life at various points. I remember going to him because I had found that I was different from my peers at the time. They were all single and doing things that 20 year olds do. However, I was a mother and a wife. I was in the military and I owned my own home. I had more in common with the 30 and 40-year-old women, than I did with the women that were my age. His advice to me was simple. He said show yourself friendly. If you want a friend be a friend. That is exactly what I did. I was there for people as I had wanted them to be there for me, but when I needed them, they were not there. I have to admit that their unavailability, allow God to be there for me more and more. However, I began to build up this aspect of myself that had to be strong because if I became weak, no one would be able to help my friends and my friends wouldn’t be able to help me. I couldn’t understand why thing were this way, but I never gave it any thought until one day. My family and I were over 2,500 miles away in a new state. I didn’t know anyone and no one knew me. I started thinking about all of my relationships and my desire to have people in my life that genuinely cared for me as much as I did for them. I saw that when I was strong and helpful, people clung to me. However, I also began to realize that those types of relationships were not healthy for myself of my friends, so I began to make some changes. When my friends would call, I would listen more. When they awaited my answer to their problem, I asked them questions about what they were going to do. At the time I was also going through some training as a Rehabilitation Counselor and I was learning that there is power is asking questions that are not leading. I started telling myself that in order to truly build up my friends, I had to back off and allow God to do His work through the Holy Spirit in their lives. I could not solve everything for them. I stopped answering the phone at 2 o’clock in the morning and worrying about how they were going to fix their lives. Instead, I fell on my knees and I prayed for them. When I wasn’t able to handle their lack of desire to do and be better, I said so and then asked them what they wanted me to do to help them. If their expectations where what I could handle, I did it. If they weren’t, I simply stated this. I had to make sure that my friends understood that I was being strong for them, but in another way. I was setting some healthy boundaries. My friends started to grow up. They no longer expected me to be strong and they began to make better choices in their own lives. 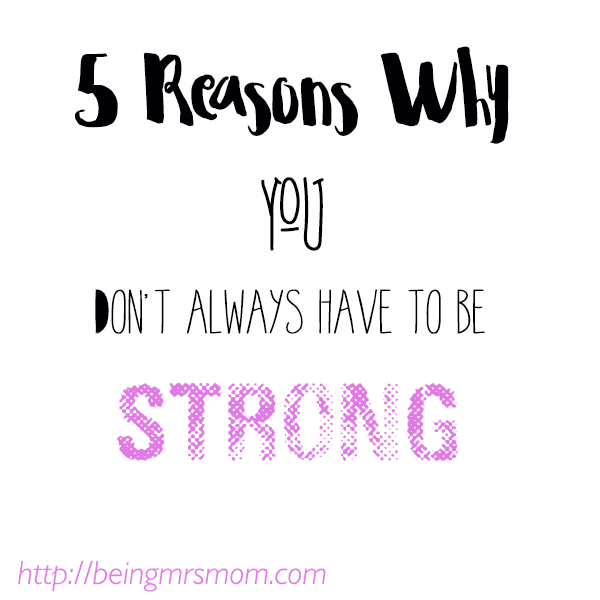 Thinking on this helped me to realize that so many women are always trying to be strong. We are strong because it is always projected that in order to be great you have to be the stronger one. In our society, it is never encouraged to be the weaker vessel. Why? They say that only the strong survive. They also tell us that what we want, is to survive. Well, I want to challenge that thought. I want to thrive. Not only do I want to thrive, but I want to live because I am alive. I am not dead and avoiding death is not the sole purpose of my life. This is why so many women have trouble submitting to their husbands. They feel that if they submit, it means that they are weak. YES!!! It does. It means that you and I are the weaker vessel in our marriages. We should be proud of that fact. What woman, honestly, wants to be married to a man that is weaker than she is? He could not protect her or their family. She would have to do it all. If we are to be honest, in order to thrive as a married couple…be prosperous and develop well, as a married couple, we all have to love each other well. Do you know that it wasn’t until I took this stand in ALL of my relationships that my quality of life began to improve. Here are the 5 things that I learned. I found that being strong left me with little energy. I had to be strong enough to listen to people’s problems and to solve them. I had to be strong enough to take what they threw my way and not flinch. I had to always be ready. This was tiring. You have probably heard this before, but I am going to tell you again. God has given us strength for this life, but He also knows that there will be specific points, where He will need to be strong for us. These times allow Him to show us how much He cares for us. Just like our strength communicates to God that we don’t need Him, other people in our lives begin to receive the same message. They feel that they are not strong enough to help us because we have it all taken care of. We make them think that we are super human, when in reality, we struggle just like they do. Have you ever thought that perhaps your strength was standing in the way of someone else being strong? I didn’t until it happened to me. I had a friend that was really strong. She was so strong that she would not let me help her. I had never been that way, but her actions caused me to wonder if my other friends had perceived me as such. I waited a while for an opportunity to show her how much I cherished our friendship, but that opportunity never arrived. I had asked to help and volunteered, but she never would take any type of help, encouragement, or friendly gesture of caring through gifts. This relationship showed me that sometimes it’s just not our turn to be strong. It might be someone else’s turn to be strong and we need to back off. From then on, I wanted to do my best to allow my friends to be strong for me and I would continue to do the same thing, when needed. If you don’t get anything else out of this, I want you to know that you don’t have to do it all or be it all to everyone. All you have to do is be you and give this life all that you’ve got. Your strength is not who you are. It is a quality that you possess. It also does not define you. You are so much more than one word, strong. There is great value in you, but in order for you to see it, you’re going to have to step out of your own strength and into God’s strength. There is a time and place for everything. Just know that when you decide you don’t want to be strong, there is still greatness in you.